Off we go again to Malmö International Show! Just back from England and off again. It has been quite a busy week after Crufts. Working all day and grooming dogs in the evening until late night. I am just about to leave Stockholm to see my mother and Oscar. Tomorrow we will leave in the morning for the big International Show in Malmö. Over 4000 dogs entered. I have brought Simon and Bonnie will be there as well that just finished her Championtitle last weekend. Simons daughter that lives with Kerstin and Willy, Huffish Miss Pretty Woman, “Bibbi” is coming in Puppie class as well. Wish you all a great weekend! I also wants to thank all that has written and commented the Crufts performance. I am really happy and proud. 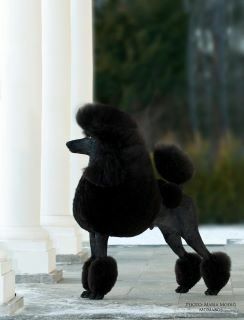 I am sure its the passion for my dogs and the Poodles why it works out so well. ← Watch the Utility Group at Crufts here!